2. Saute shrimp, scallops and garlic in hot oil in a large skillet 5 minutes or until shrimp turn pink; cool. 3. Stir together 1/2 cup lime juice, honey, and cilantro in a large bowl. 4. 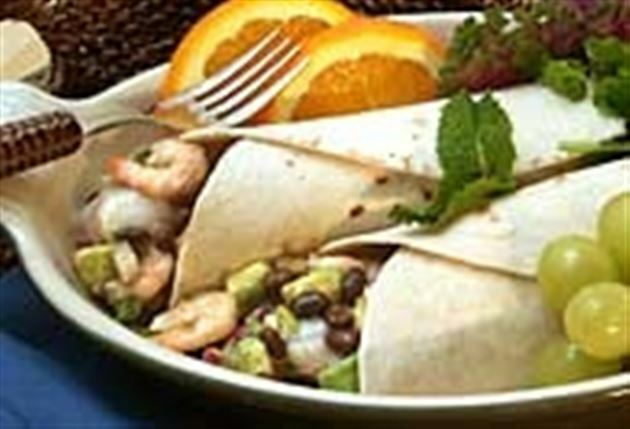 Toss together honey mixture, avocado, seafood mixture, black beans, onion, and corn. Cover and chill 2 hours. Place evenly on tortillas; roll.